• What do you eat in how much portion will also decide your chances of conceiving in pre pregnancy. So it is advised to check on our daily food intake. 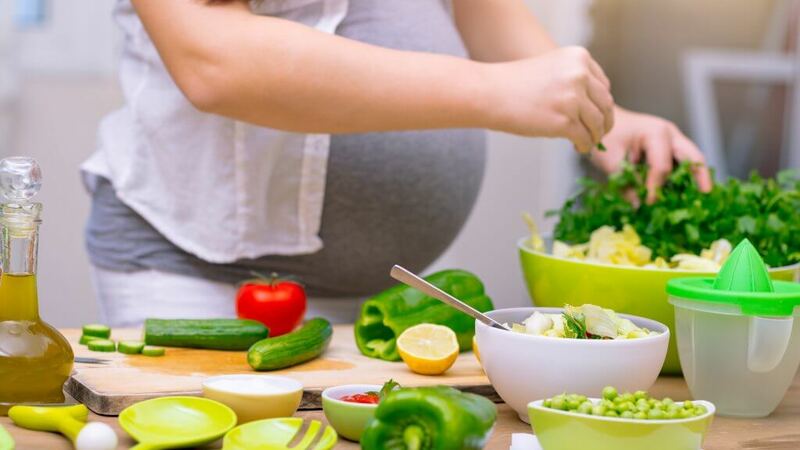 Good diet will make your body ready for pregnancy and nutrients will help you get good start for carrying baby starting from pre pregnancy period. • What is healthy diet – Variety of foods in balanced proportion is called healthy diet – which includes fresh vegetables and fruits, starchy food, protein from pulses, soya, beans & Lentils and fish also if you are a non vegetarian. It is recommended to take low fat dairy products like skimmed milk, curd, cottage cheese and buttermilk. Else some iron and vitamin rich foods are also good in pre pregnancy for healthy pregnancy and if you will include these items in your diet in pre pregnancy, you have more chances of conceiving and you will be adapted to healthy diet. • Limit caffeine intake & stop alcohol – If you are very much used to drink coffee or tea then limit your caffeine intake. If you attend parties a lot and drink too much alcohol, then it is time to limit your drinking, smoking habits in pre pregnancy phase to give birth to a healthy baby when you conceive and get pregnant. Monitor your weight also – For carrying a baby in your womb, you will need to monitor your weight in pre pregnancy. If you are underweight or overweight, both chances can lead to risk of unhealthy baby like baby with a low birth weight or some other problem. Pre pregnancy time is best to lose weight if you are overweight because you cannot do dieting once you conceive baby. So above dietary changes in pre pregnancy phase will help you to conceive a baby with good health. Else you should consult doctor about particular diet changes according to your medical condition or taking some supplements or multi vitamins or other medication for boosting fertility. • What is required for healthy Pregnancy? 1. Pre pregnancy to do list – Make a to do list in pre pregnancy phase, this to do list will include finding a good doctor and hospital, making list of tests and ultrasound scans to be done, arranging antenatal appointment or managing your body weight. 2. Exercising in Pre pregnancy period – Exercising in this phase is must as endurance and strength is required to carry baby for 9 months in your womb, so include exercise in your daily routine to prepare your body for pregnancy. Yoga, walking or other light exercises can be continued in pregnancy also and they help in improving mood also. 3. Diet plan in Pre pregnancy – What is your diet plan in pre pregnancy period? Is your daily diet healthy? You will have to keep check on what you eat in pregnancy? So why not to care about diet in Pre pregnancy phase? It is advised to eat well and healthy in pre pregnancy and pregnancy period. 4. Treat medical conditions in pre pregnancy – Are you suffering from thyroid imbalance hormonal problem or any other medical condition? If yes, then before planning baby, get proper treatment for avoiding passing of that disease in baby in inheritance by mother. 5. Get enough sleep – Go exercise well and get enough sleep. Make your daily schedule routine for good sleep so that in pregnancy period you become habitual for getting proper rest for good health of yourself and baby too. 6. Stop Smoking and cut back on caffeine in pre pregnancy – Stop Smoking if you are habitual to, don’t plan baby until you cannot stop taking liquor or smoking. If you have not limited your caffeine intake, there will be chances of baby to be born with low-birth-weight baby and other birth defects of you keep pressing on alcohol. Else, every mother’s body may have different experience in pregnancy phase. So choose your doctor and hospital wisely with friends & relatives recommendations with good reviews of doctor and hospital.